League of Legends - Ultimate Guide - ExpertGamers.org Gameplay leaks, fresh screenshots and Games review. League of Legends - Ultimate Guide - ExpertGamers.org Gameplay leaks, fresh screenshots and Games review. ExpertGamers.org Gameplay leaks, fresh screenshots and Games review. Welcome to the Expertgamers, here you can find all information about new games and news about all major events all over the world! How to play League of Legends very efficiently? To play the game, League of Legends in a very efficient way, you should understand the rules and regulations of the game. If you are familiar with various kinds of characters and items, you can play the game in the best possible way. League of Legends is the most popular game which is played all over the world. There are many challenges which can be overcome very easily when you learn from the experience of skilled players. In this context, you are advised to go through the reviews and guides. The Summoner’s influence is measured through the IP. The measure will be based on the performance in ‘Fields of Justice’. You can earn influence points by playing the game for a long period of time. The skills used by your team will also influence your points. Two teams will compete each other to kill the enemy’s nexus. A series of challenges should be overcome before reaching the nexus. In this process, minions should be killed. You can choose set of maps to play the game in a very efficient way. There are many advantages with influence points. It is possible to unlock champions with IP. When you unlock champions, there will be great advantage over your opponent. The champion pool can be expanded. By unlocking more champions, a strong champion can be picked up and operations can be expanded very easily. The champion’s abilities will be enhanced when you manage a favorite champion in the game. You can buy runes for your champion by using these points. The champion’s abilities are further enhanced with runes. If you go through a quality ‘League of Legends’ guide, you will have complete information about runes and IP. You will understand about thinks that should be accomplished to make great progress in the game. There will be IP bonus for every win that you manage in 24 hours. It is possible to win a game each day by managing IP. In fact IP is only one way to improve your chances in the game. You can go through various tips and tricks through which you will be able to make great progress in the game. There are video games which will help you make money through playing. When you play the game in a very efficient manner and overcome various obstacles, you will move to top layers in the game. You should set up an account to start your journey in ‘League of Legends’. There are powerful videos which will explain you the procedure to engage in money-making game. You can participate in forums as well to get great knowledge about the game. If you subscribe to an active community or forum, information will be shared very effectively. After logging into the website, you should verify your Summoner. The name that you obtained in the game should be entered. A game code will be provided and you should make note of the same for further reference. After opening the ‘League of Legends’, you should navigate to the Masteries tab. After adding a new Masteries page, the game code should be pasted. The Masteries page should be saved and you should visit the Digibyte gaming site. The verification should be completed on the website. After completing the steps successfully, you will receive Digibyte’s into your digital wallet. The payout will vary as per the sponsorship agreement. You should understand the fact that the value of digital currency will accumulate over a period of time. You can watch the official video to understand the procedure and you will settle for the best solution without any issues. You can also make money by creating a video game fan site or blog. In order to create a blog, you should have an internet connection, latest laptop/computer and appropriate software. A video game YouTube channel can be created to make money. How to master League of Legends? To play the game in a very efficient way, you should learn various keyboard shortcuts. If you are a beginner, you will be benefited by going through the guide. There are communities meant for experienced players as well. A single character will be controlled and customized in League of Legends. To accumulate resources, you should work with other teammates. The available modes of communication should be used very efficiently. In each match, players will be able to choose a character they wish to play. There are about 130 champions in the game. The champion can be customized as per the resources earned by you. It is not possible to carry over the customization. 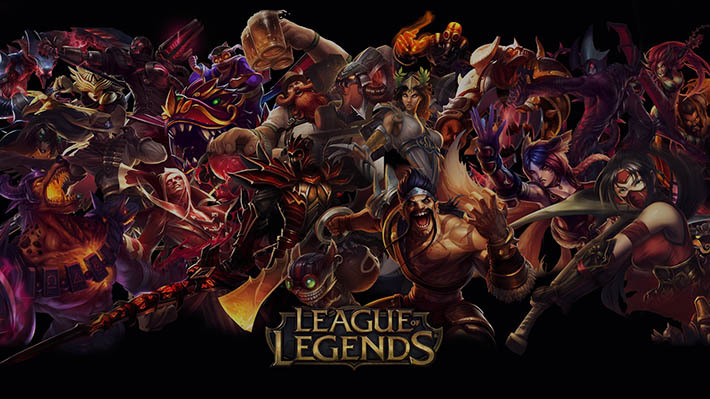 You should visit the official ‘League of Legends’ website and register for an account. The game should be downloaded on your PC or Mac. There are 30 levels in the game. You should implement a strategy that is most appropriate for the current level. As per the availability of resources, the strategy can be changed so that you will be in winning position at all times. If you know the tips and tricks of the game, the enemy can be attacked in the best possible way. If you are going to die, you will follow best course of action so that you can hide and retaliate. As far as possible, you should avoid death as it will greatly decrease your strength. The currency that is earned while playing the game is called Influence Points. The gameplay content will be unlocked with IP. The currency that you purchase with money is called Riot Points (RP). You should understand the fact that any content can be purchased with RP. The cosmetic feature can be purchased with RP only. In case of Free Champion Rotation, there will be group of ten champions. They will be unlocked for all players. Changes will take place on weekly basis. Champions are player-controlled characters. They begin their journey at level 1 and they will reach a maximum level, 18. As a matter of fact, champions will grow in power with each level. There will be basic attack, passive attack and 4 abilities with each champion. When the champion right clicks on an enemy, the basic attack will take place. The enemies in the range will be attacked by champions automatically. The attack will take place on a continuous basis. There are ranged as well as melee attacks. Ranged champions have the capability to fire auto attack projectile. The attack of each champion is different. Some attacks will take long time. In some cases, the projectiles will travel too slowly so that the attack will be very slow. The game play is affected by the passive. It is an innate character. You will not want to press any buttons in this process. Unique actions available to the champion are 4 abilities. They are skills and spells. 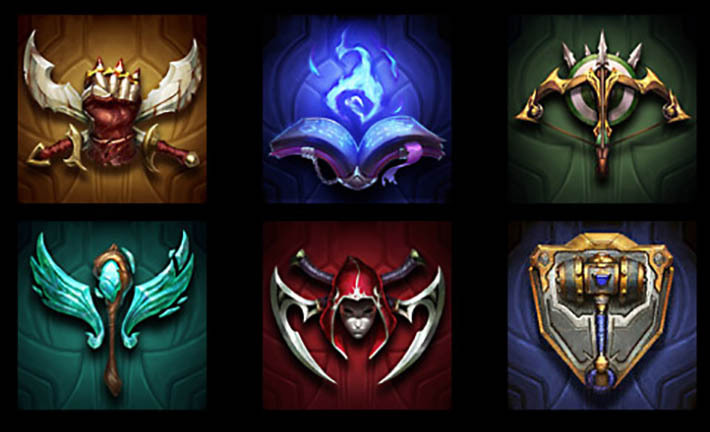 Most of the champions have access to three basic abilities and one ultimate ability. The ultimate ability is the most powerful ability. There are five ranks in basic abilities. The ultimate ability has 3 ranks and it can be advanced at level 6, 11 and 16. Damages are exceptions and champions can deal with 3 types of damage. There will be physical damage through basic attacks and some abilities. Most abilities can deal with magic damage. It can be added to basic attacks as well. The true which takes place in rare cases happens through various sources. You should understand the fact that it should not be mitigated. On the other hand, physical and magical damage can be mitigated. Magic and physical are game mechanic terms and they are not related to the action performed by the champion. Basic attacks deal with fists, fireballs, bullets and bolts. There is scope for mixed damage as well when multiple damages take place from the single source. There are various kinds of roles played by champions. In most of the cases, they have primary and secondary roles. Mages have the ability to deal magic damage. They have the capability to disrupt enemies as well. The offensive capability is balanced and they have very low defenses. There is wide variety of playstyles. While some mages excel in controlling the battlefield, while others focus on devastation. Marksmen apply their basic attacks and they will ensure that there will be sustained damage. Single targets are dealt in this process. To survive in the game, marksmen should work hard. Skilled movement is required and the target should be selected very carefully. There are high defenses with tanks. However, the damage is very low. However, they have the capability to disrupt and disable others. They will join the fight first and will be out in the last. Fighters have the mix of damage, defense and utility. The survivability of the fighter is minimum. There are physical damage-oriented as well as magic damage oriented ones. There will be extreme mobility with Assassins. The massive damage output is called burst damage and it will take for a short period of time. Thus, you should understand about different roles of champions so that you can play the game very efficiently. The ELO ratings system, the ELO coefficient is the method of calculating the relative strength of players in games with two players (for example, shogi, Guo or chess). This rating system was developed by the American professor of physics of Hungarian Origin Arpad Elo. The principles of the Elo rating system can also be applied to other sports, including e-sports, such as League of Legends, Dota 2 (known as mmr) and other competetive games. Players are divided by tiers: Bronze, Silver, Gold, Platinum, Diamon and Challenger. Each of these tiers divided by leagues. Only 250 peoples can play in one League, and there is numerous number of leagues. Tier is determined by the league point – they are used to win, and you lose when you lose. The LP changes from 0 to 100 and displays the current position of the player in the division. If you’re scoring 100 points, then you will play division Series this is the best of the three, if you win, you go to the next division. If you lose, you lose your LP, but not less than 60 LP. You can play this Best of Three in any day that you want, there are no strict dates. The period after which the player is considered inactive is 28 days. 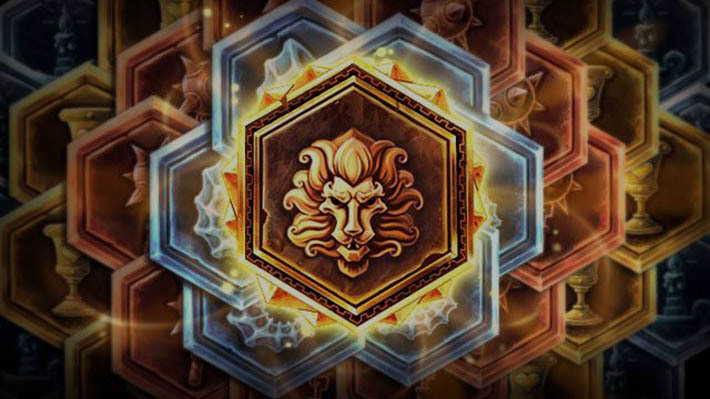 If you’re in First division and you’re picking up 100 LP, you will play Promotion series – BO5 to the next tier. After you go to the new division, you have a 0 LP and “Given five matches that you can lose“. When they expire, the general rules are included, and if you lose the 0 LP, you fall into a lower division. If you’re in the lower division of Tier, it’s not going to fall off the tyre, you can only grow up. The only exception is inactivity. In 28 days of inactivity, the LP is beginning to decrease, and then the player can move down both by Tyre and by division. As you can read above this system is quite complicated, so if you want to get really high division you need to work really hard. Or just use Boosting service. Boosting in illegal way to get desired rank in League of Legends. But Riots rarely ban those who use Boosting services, because it is really hard to indicate who use them and who play by rules. The thing is easy, you gave your account to the professional League of Legends Player and he reach any division or rank that you wanted, and for what you payed. 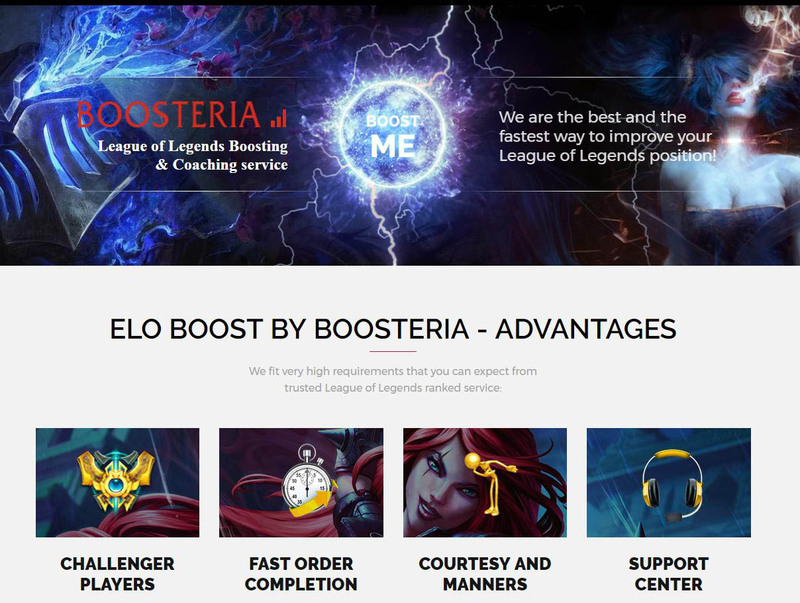 So how to find a trusted lol boosting service? Well you can read reviews, what companies are writing about itself (mostly in “About Us” page) or just choose the cheapest of them. The choice is up to you. I prefer Boosteria for a good price list, discounts and just for a good support system. They always tries to help and always ready to apply full refund, if you are dissatisfied with the services that they provide. You can Read more if you really interested in elo boosting. This entry was posted in Reviews and tagged Boost lol, Boosteria, Boosting service, Champion LoL, Champions, Damage types in LoL, Elo divisions, Elo lol, Game, Games, How to make money in League of Legends, League of Legends, Legit boosting lol, LoL, Moba, PC, review, Roles of Champions, Trusted boosting service, trusted lol. Bookmark the permalink. Hmm, i’m interested in the LoL, and this article is looks very cool to me. Bounty Hunter – the hidden imbalance hero of the Dota 2?